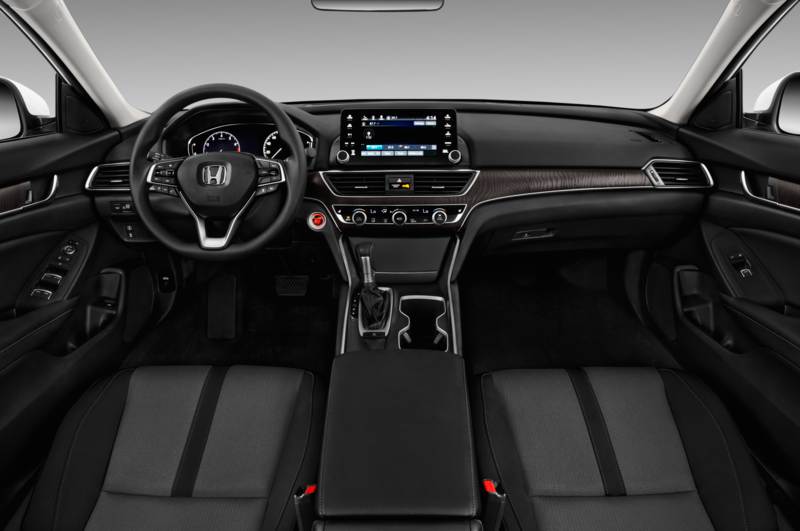 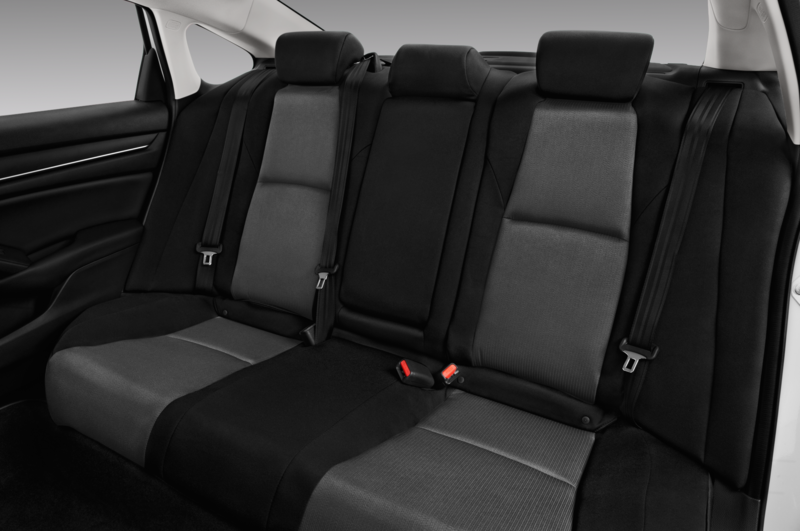 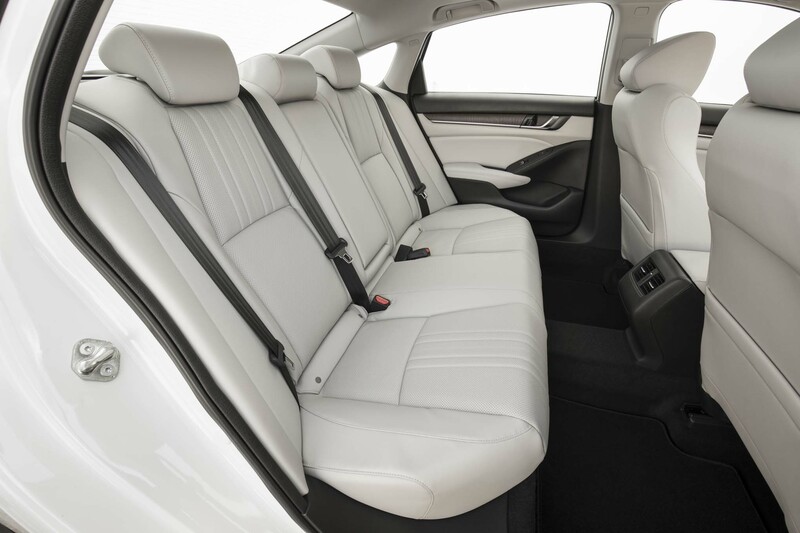 TOGICHI, Japan — Wrapped in camouflage, its cabin swaddled in obfuscating black cloth, Honda’s next-generation Accord is nearing the end of its march toward production. 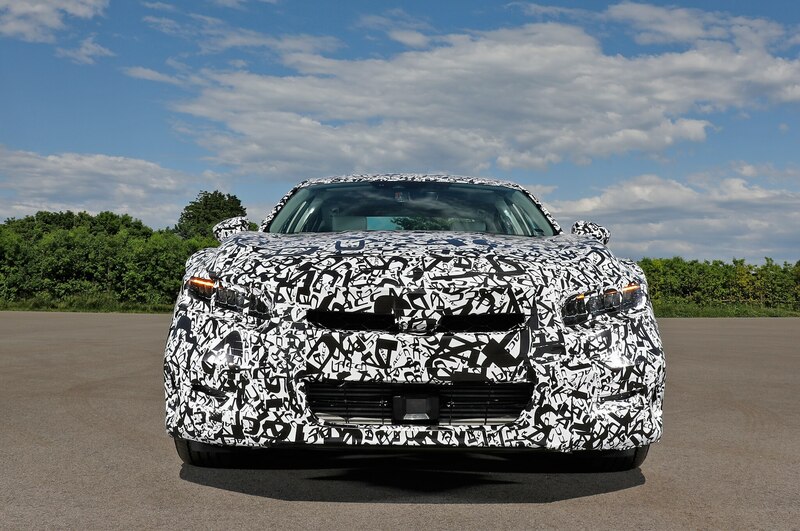 We visited Honda’s global research and development center this week to drive an engine and transmission development prototype of the car ahead of its arrival on U.S. roads later this year. 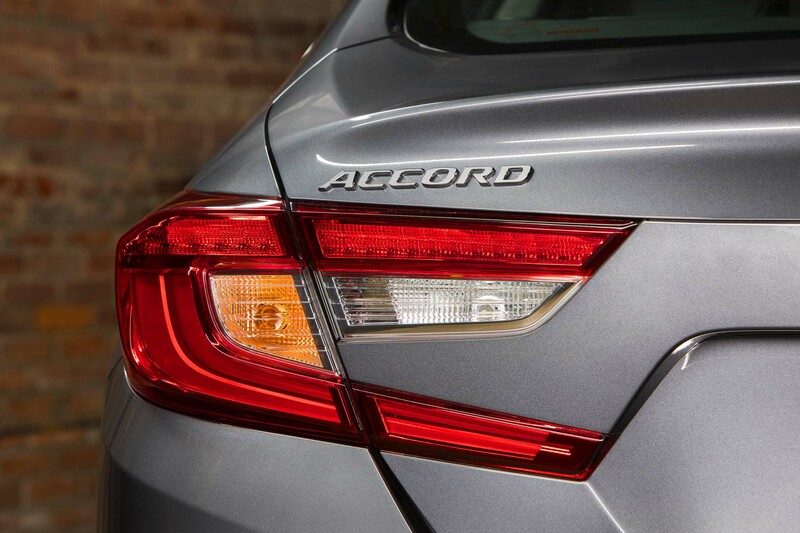 Given the Accord’s central role to Honda’s automotive efforts, the company absolutely has to get it right. 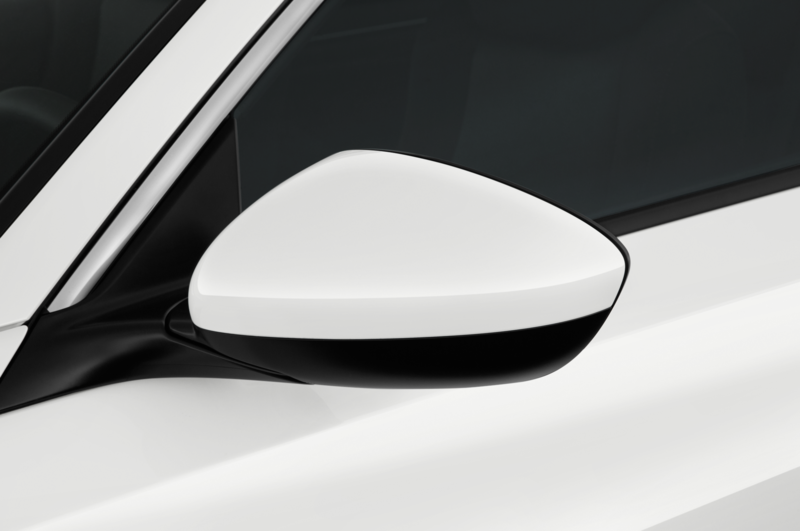 On this trip, we got our first chance to find out if they did. 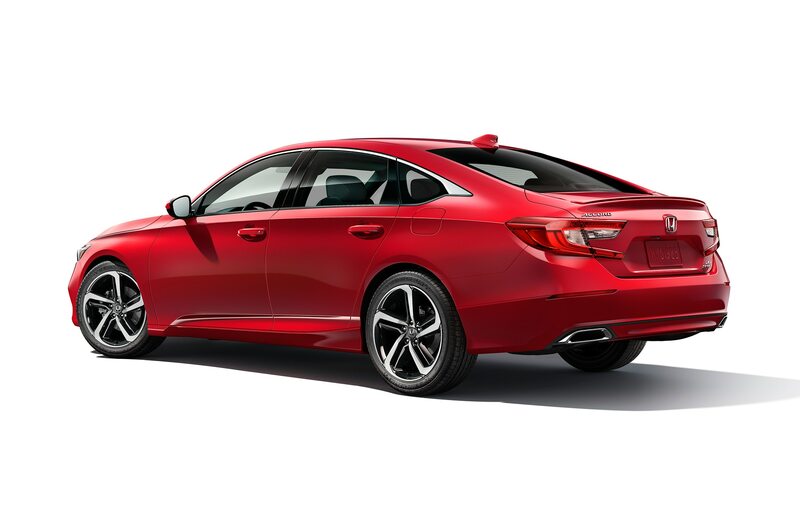 The 10th-generation Accord will ditch the V-6 available in its predecessors, opting instead for a 2.0-liter turbocharged, direct-injected, dual overhead cam i-VTEC four-cylinder as its top power producer. 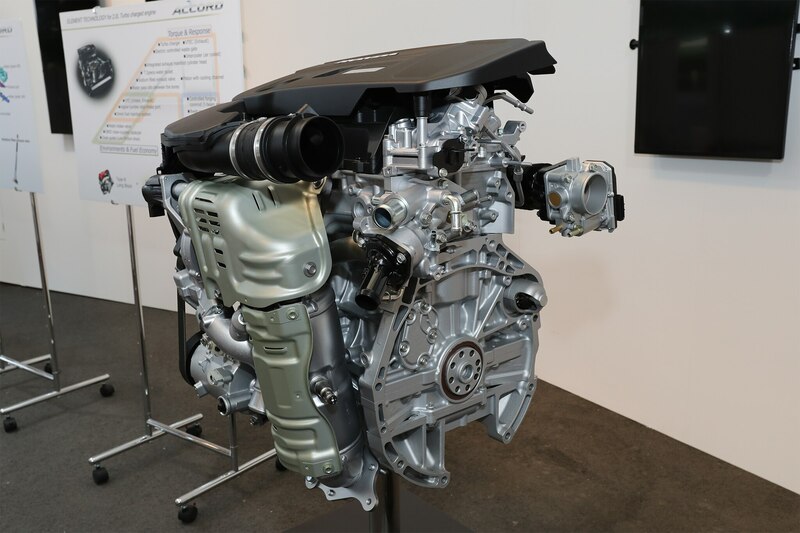 Forged connecting rods, a forged crankshaft, improved cylinder head and block water pathways, and sodium-filled exhaust valves give the 2.0-liter additional durability and power capability. 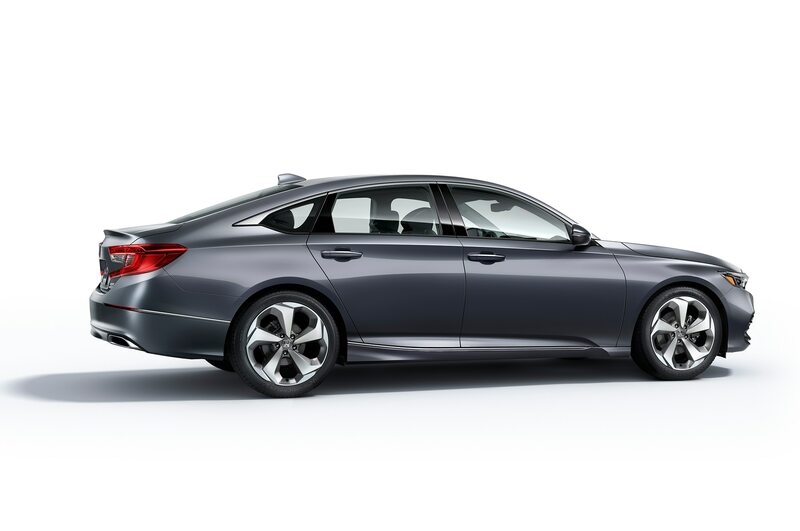 A 1.5-liter turbo-four (essentially the same engine available in the latest Civic) will also be offered, as well as a two-motor hybrid. 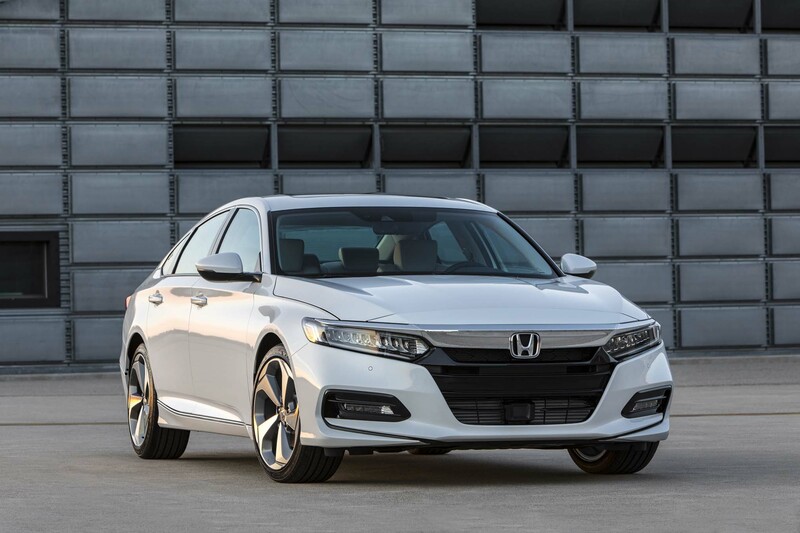 Both turbo-fours will be offered with a choice of a six-speed manual transmission or an all-new, Honda-developed 10-speed automatic transmission. 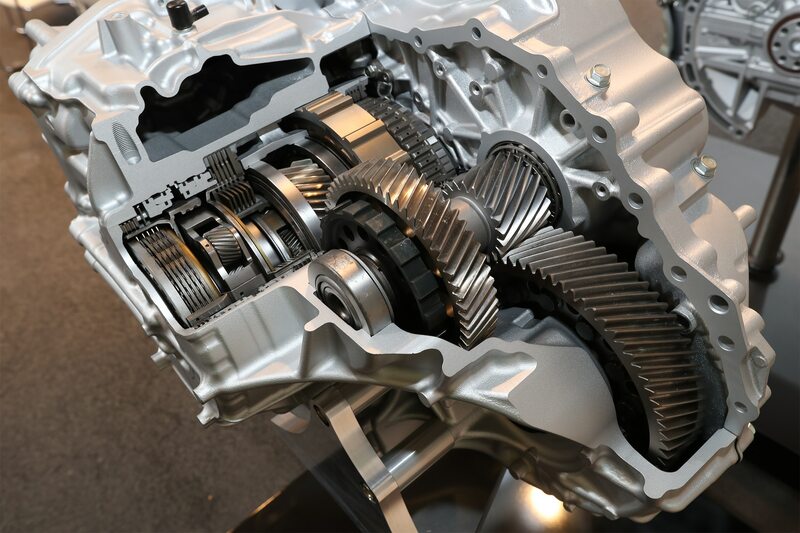 The 10-speed auto is capable of transmitting 20 percent more torque than the outgoing six-speed auto, but weighs 10 percent less. 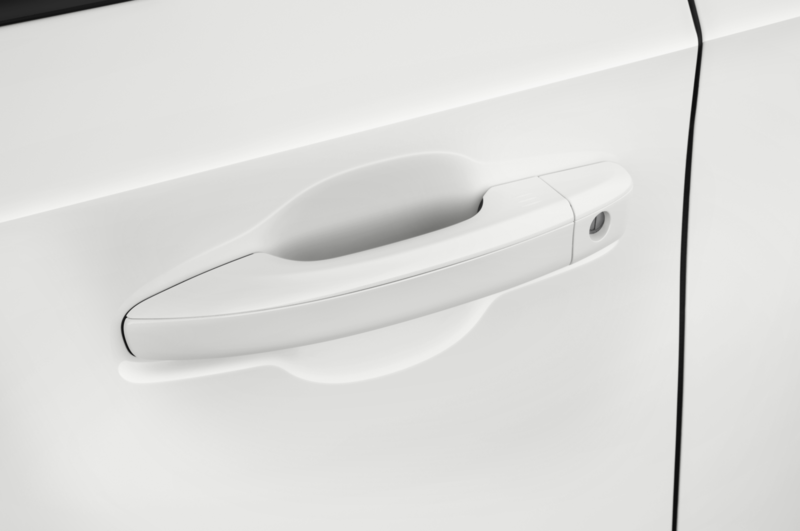 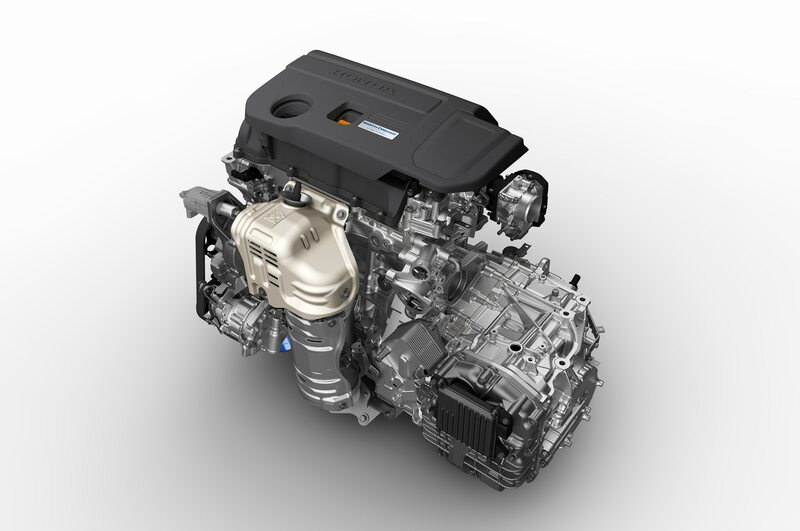 The two-motor hybrid needs no transmission thanks to its unique design. 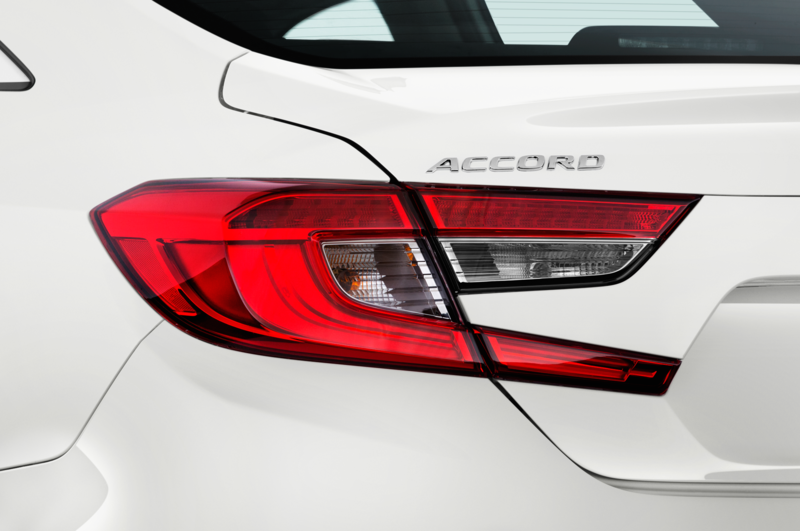 Front-wheel drive is the only option for the 2018 Accord, says American Honda’s regulatory, legal, and technology communications manager Chris Martin, because customers who want all-wheel drive also tend to want the higher ride height and ground clearance of a crossover — and Honda makes plenty of those already. 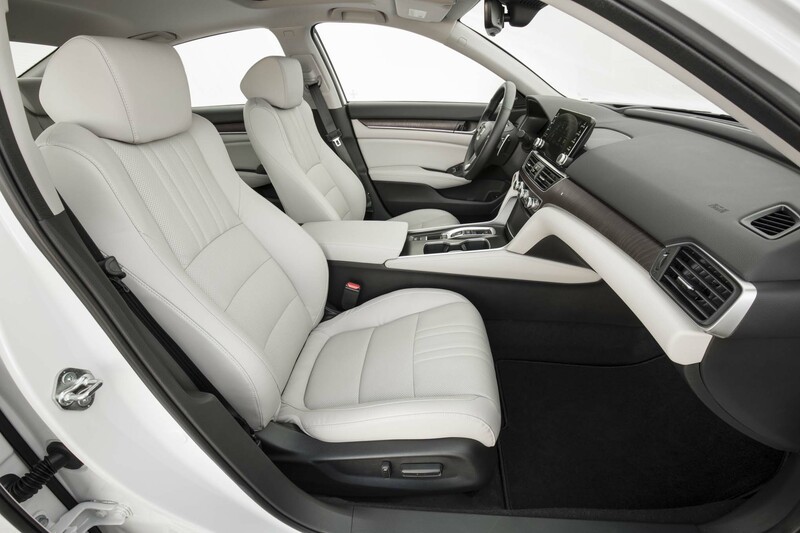 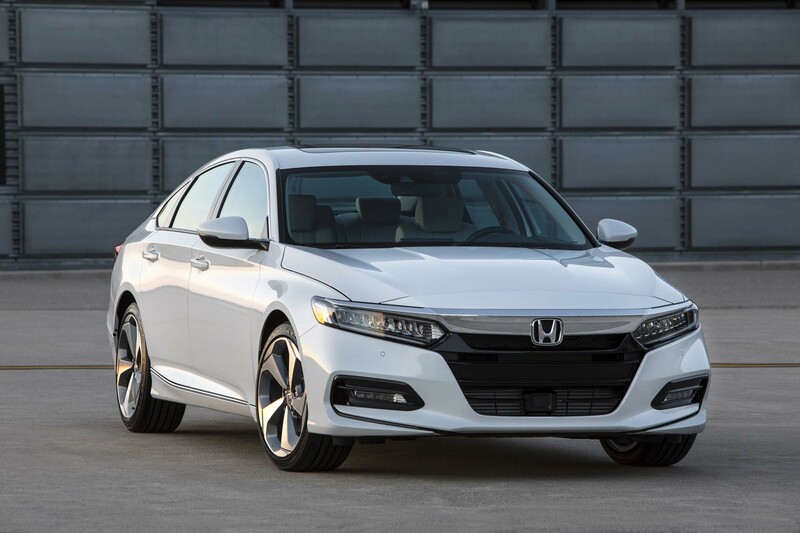 To put the new Accord’s powertrain to the test, Honda handed us the keys to a prototype fitted with the 2.0-liter engine and 10-speed automatic. 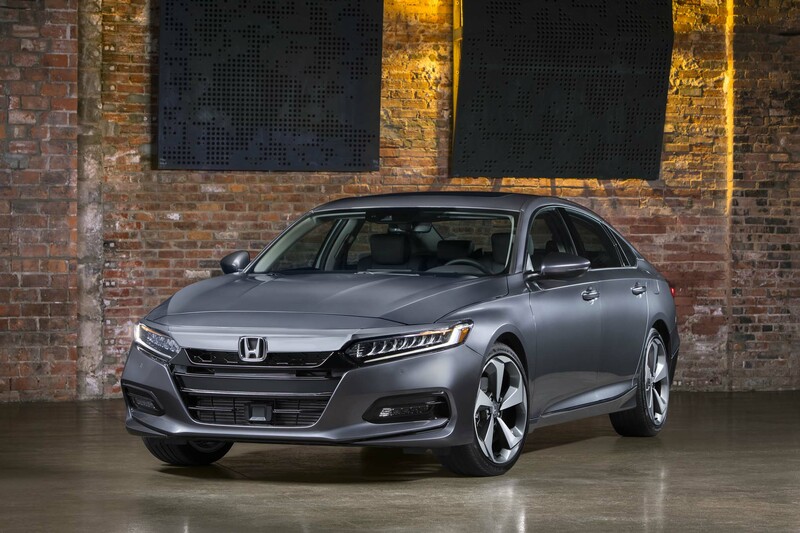 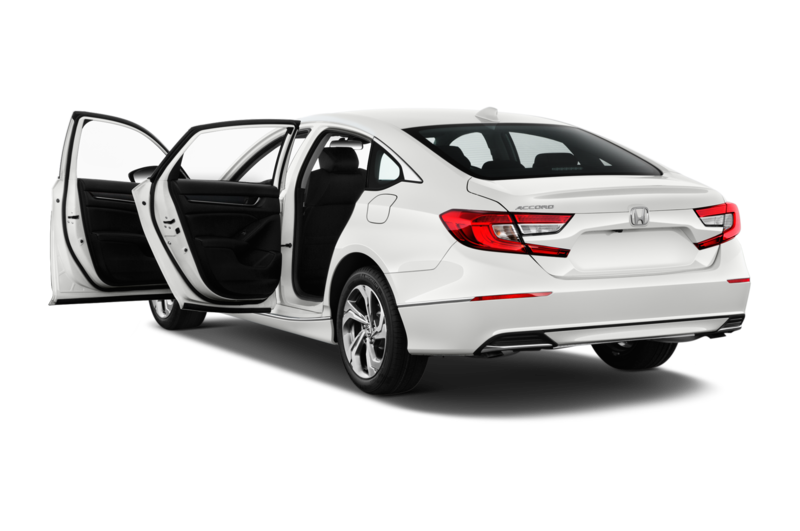 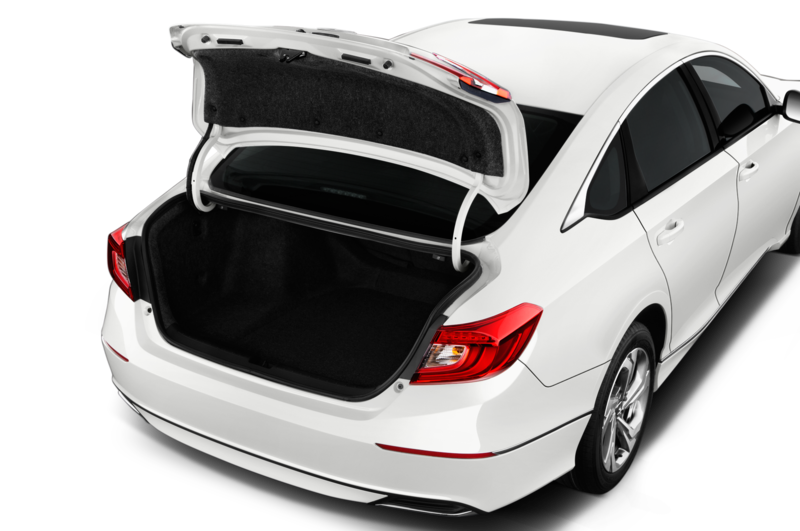 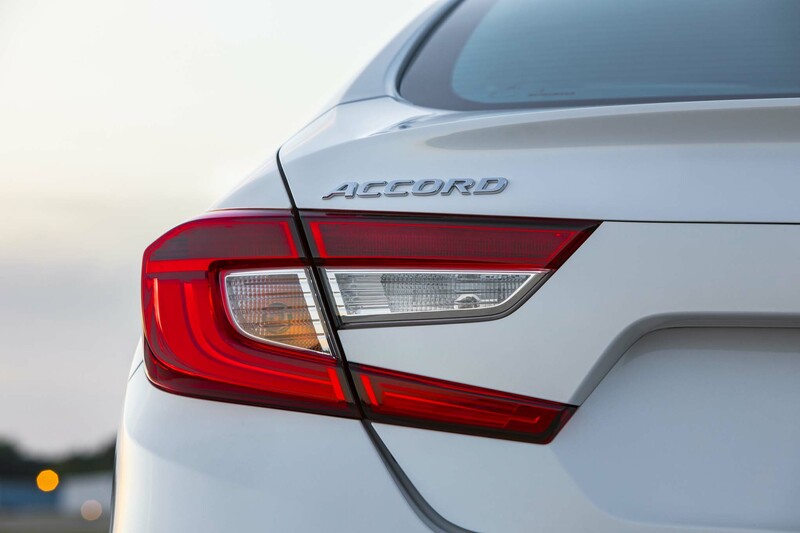 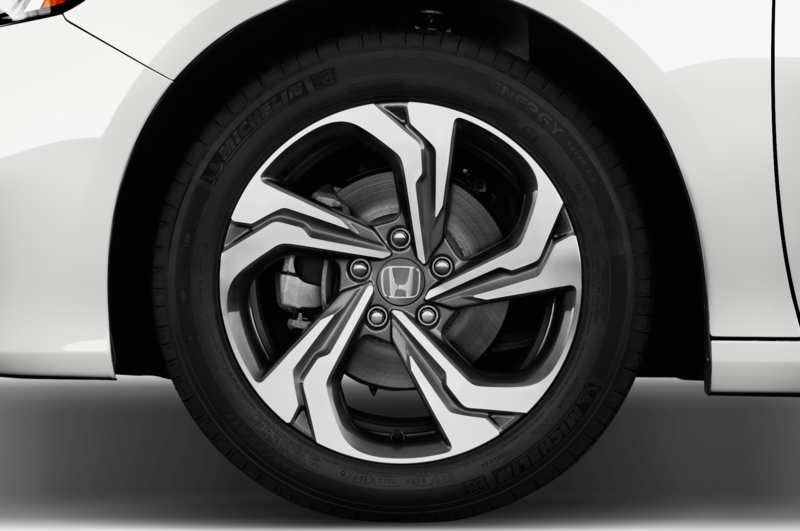 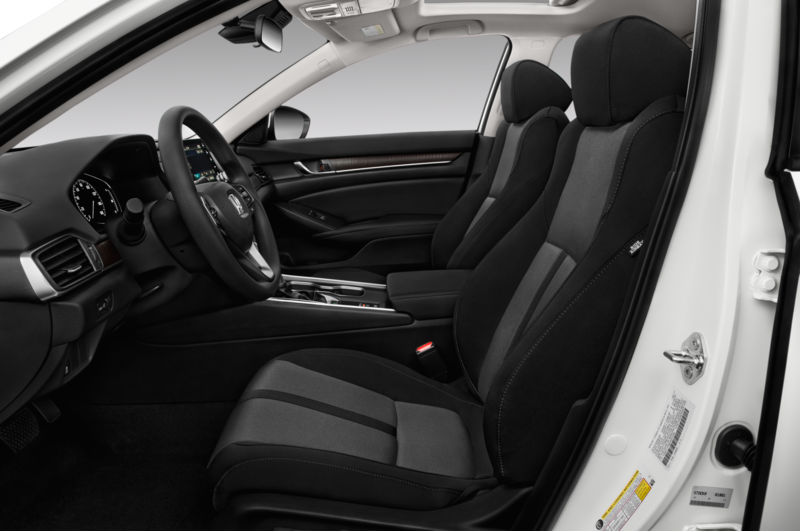 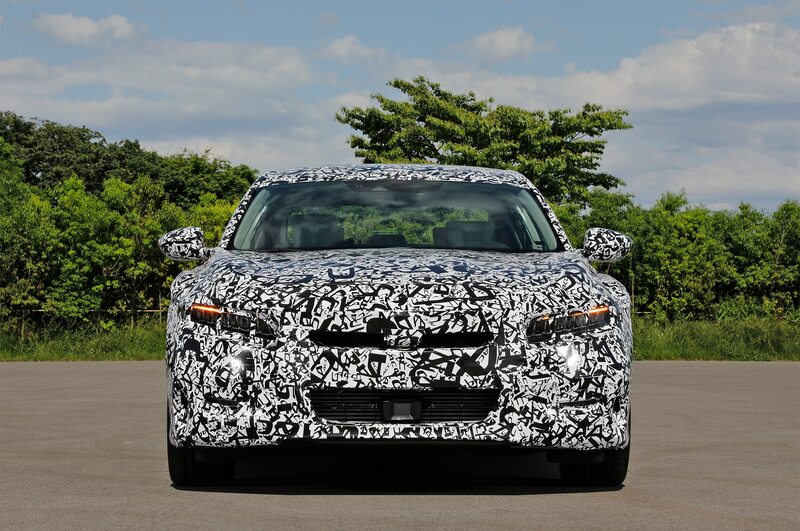 The prototype was built last fall at Honda’s Marysville, Ohio facility, where the new Accord is being developed. 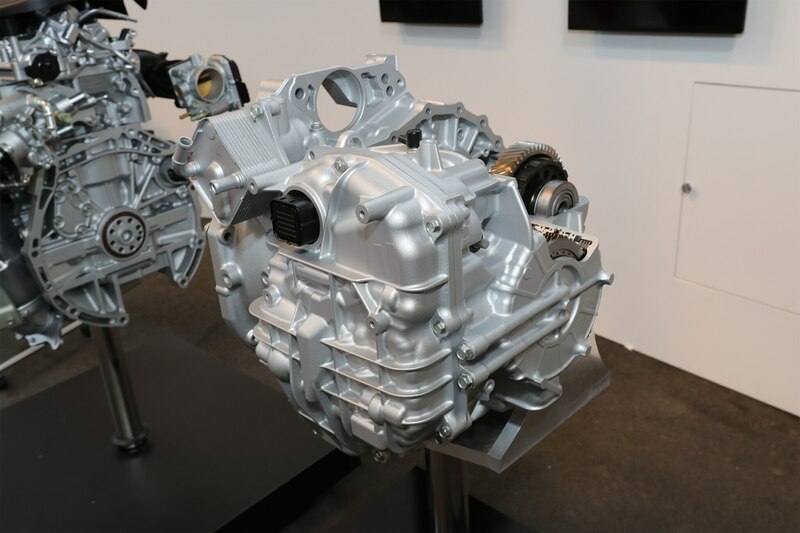 More complete prototypes exist there, but this early example was outfitted with the latest specification of engine and transmission software, according to Martin. 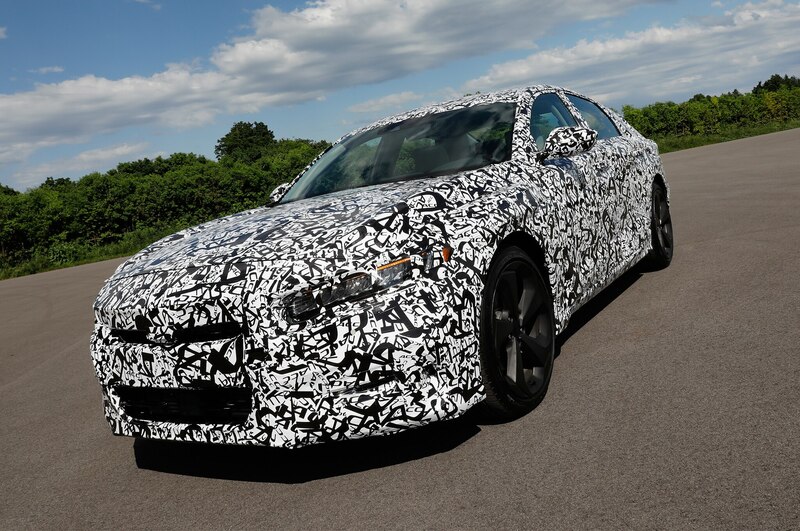 Because the prototype was an early build, however, its suspension tune, interior, and technology features were still just placeholders — our evaluation was focused on the engine and transmission. 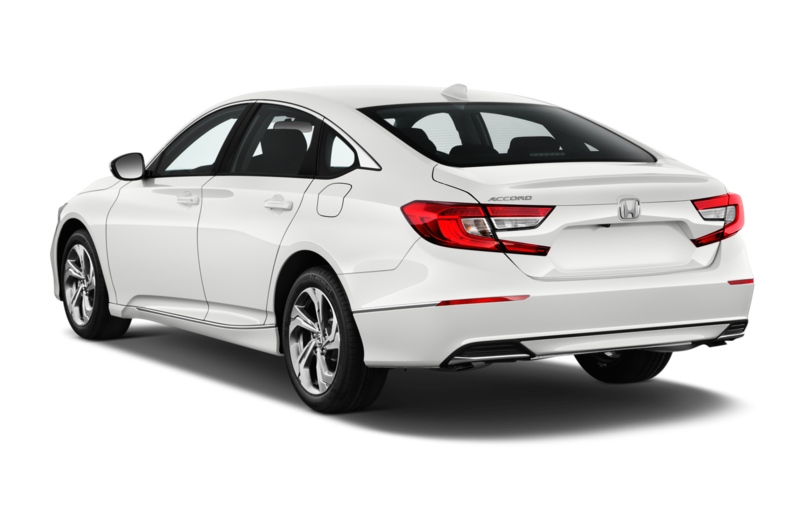 As for the new exterior and interior styling of the 2018 Accord, Honda says we’ll see more of that in the coming weeks. 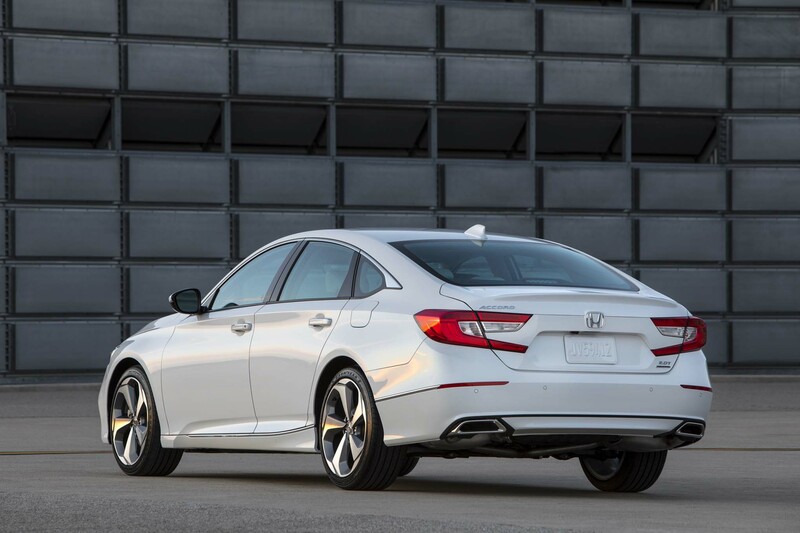 We had just two laps of the 2.5-mile banked oval at Honda’s Tochigi R&D center to test the upcoming Accord’s highest-performance locomotion system. 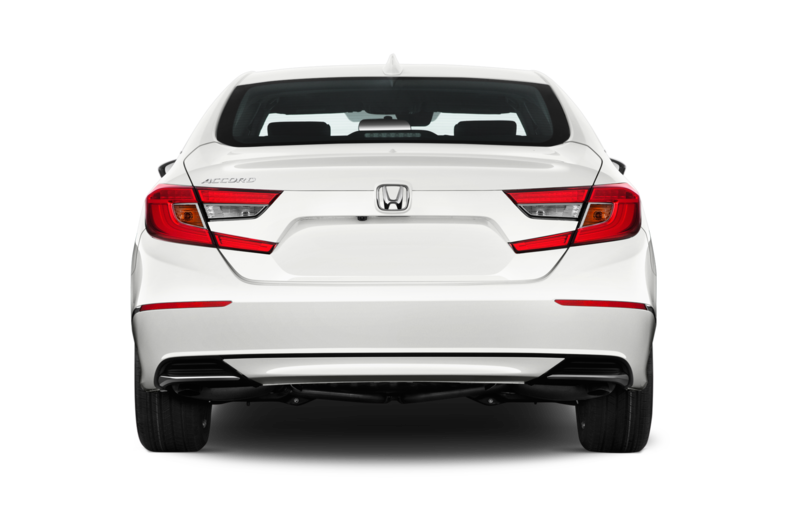 While we weren’t allowed on the banking, we didn’t really need it — the Accord still hit an easy 120 mph straight out of the pits. 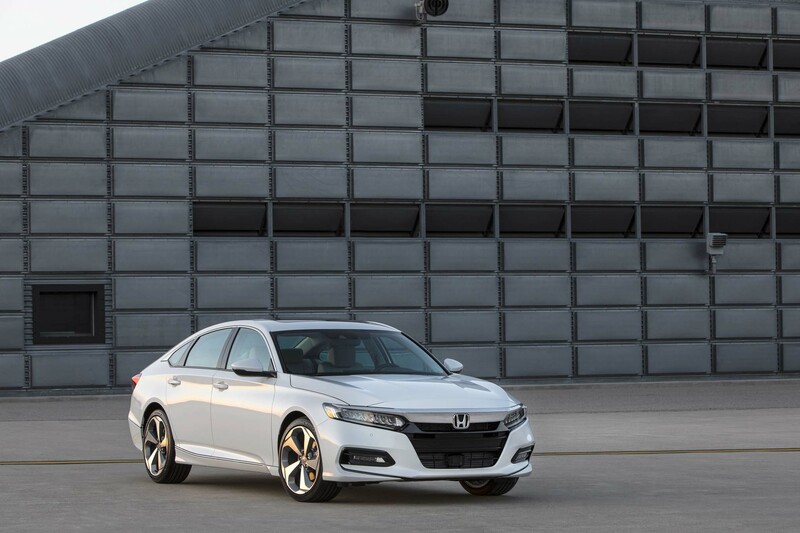 From a 25-mph pit exit, the turbocharged four-cylinder exhibited only minimal lag, building boost pressure and torque smoothly and quickly as we accelerated onto the track. 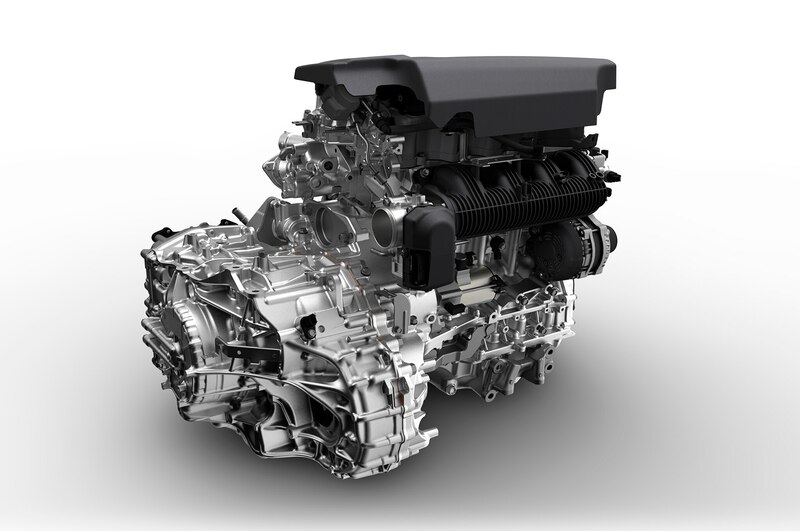 The 10-speed auto’s function was so smooth as to be transparent. 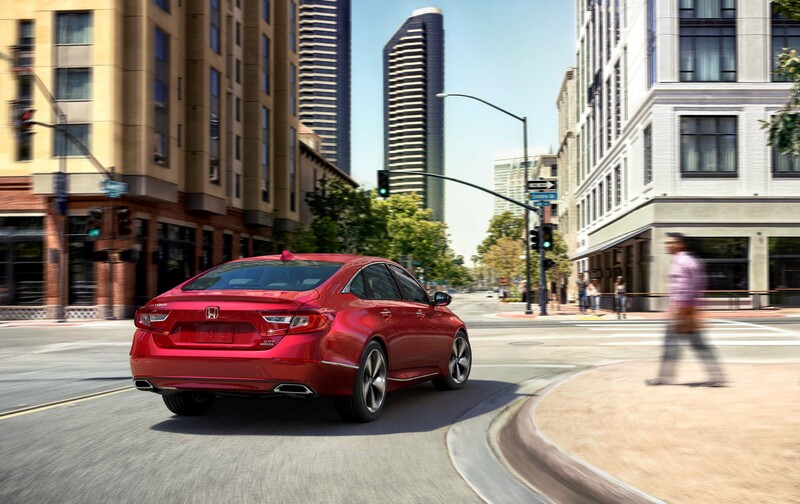 Left to its own devices, the transmission’s function is all but unnoticeable in normal acceleration and deceleration at city and highway speeds. 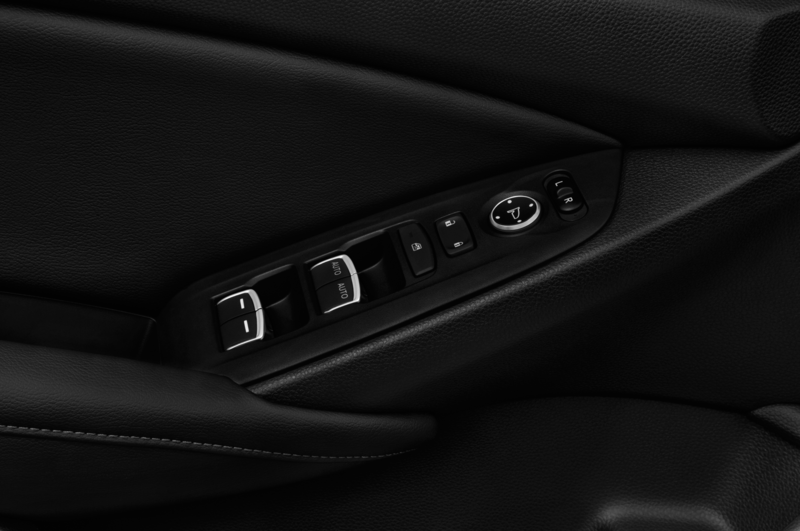 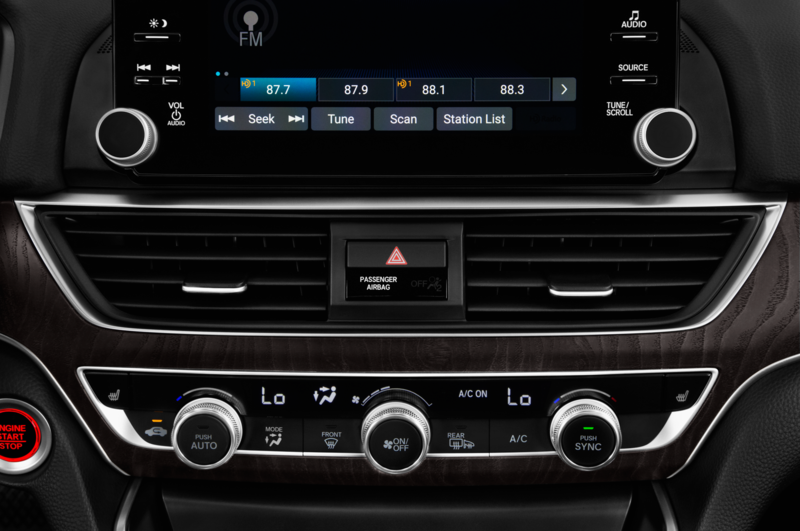 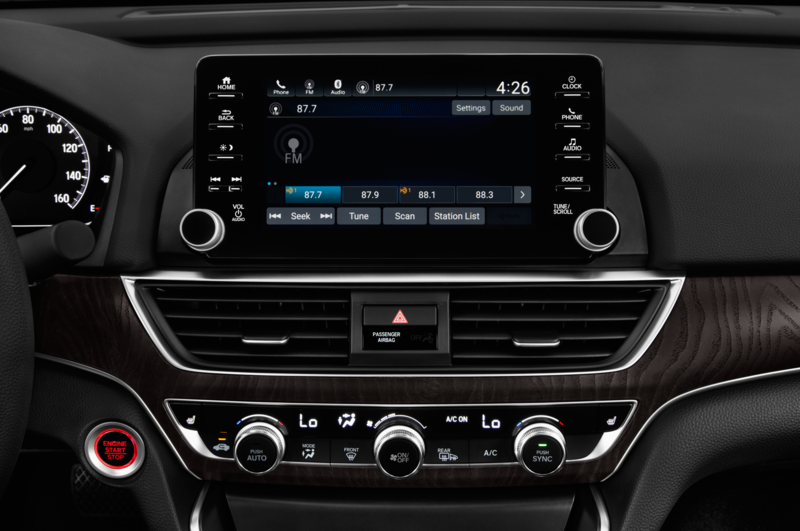 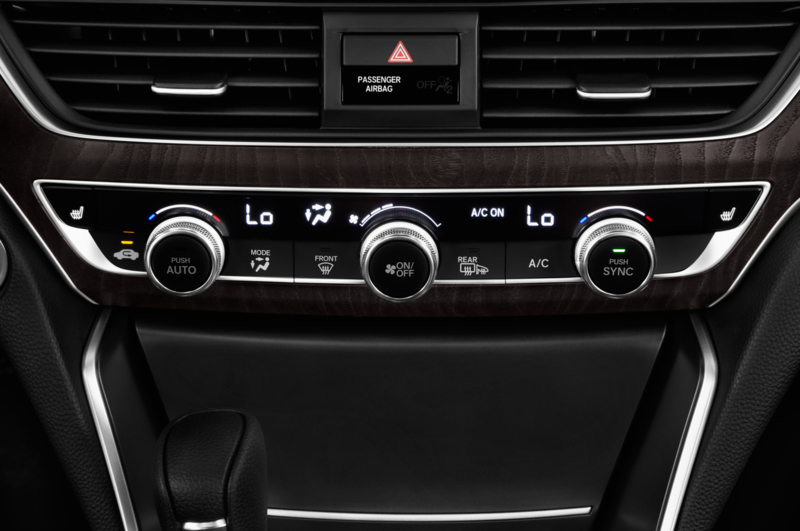 The Sport Mode button in the center console sharpens up the Accord’s responses for a spirited drive — or an aggressive Monday morning commute. 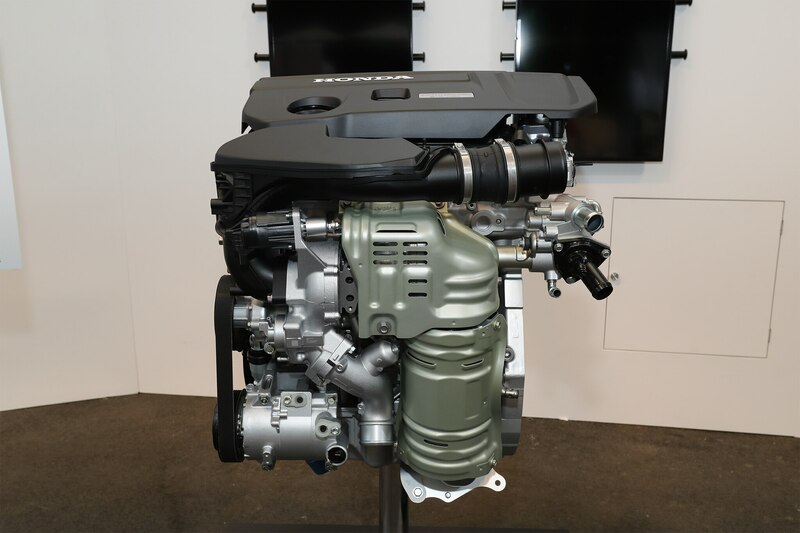 Honda hasn’t disclosed the power rating for the new turbo 2.0-liter, but my highly unscientific seat-of-the-pants feel says it’s somewhere around the 250-260 hp mark, with similar figures for torque output. 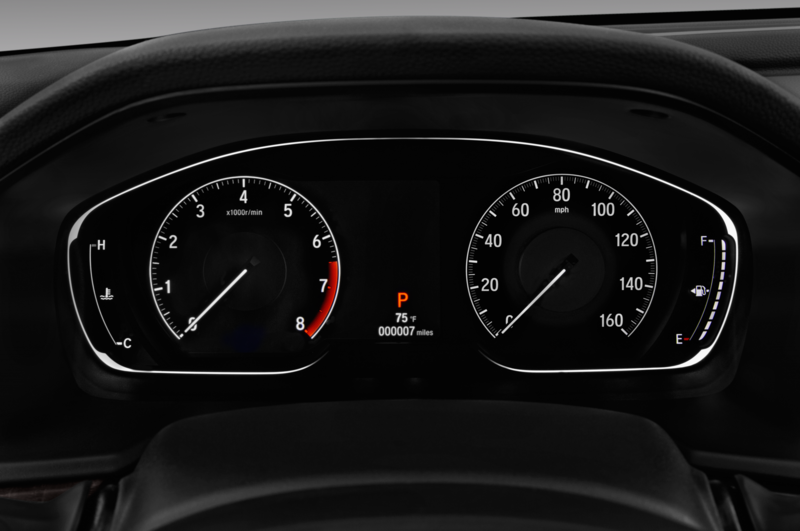 Peak torque seems to arrive around 1,500 rpm, with power output at apparently constant levels from 3,000-5,000 rpm. 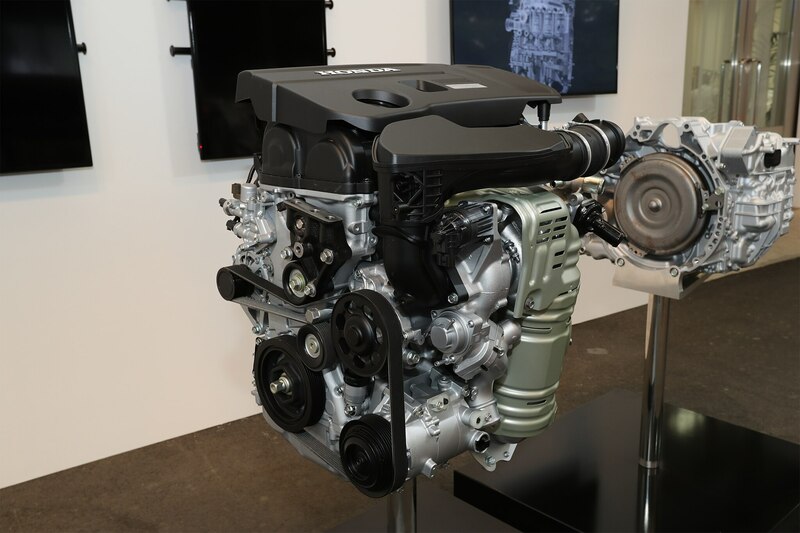 Those figures compare well with the outgoing V-6’s 278 hp and 252 lb-ft of torque, and that’s before you take into account that the V-6’s peak torque doesn’t arrive until 4,900 rpm and peak horsepower at 6,200 rpm. 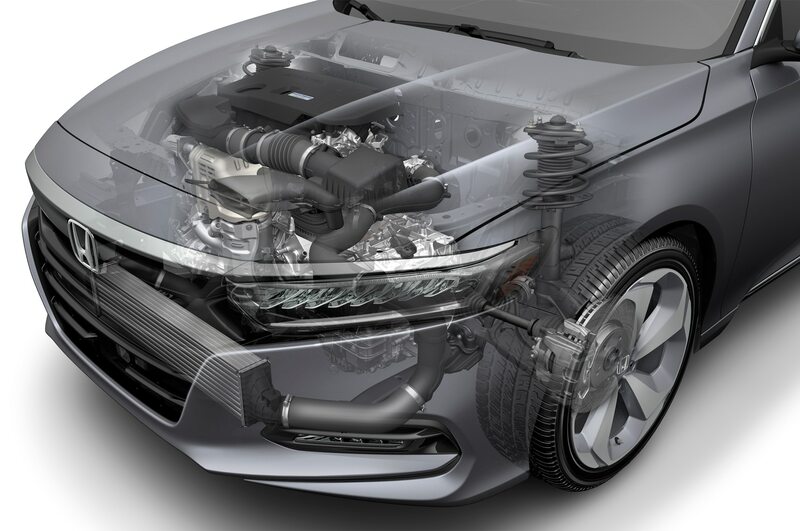 The turbocharged engine should deliver more low-end torque, and therefore quicker acceleration in everyday situations. 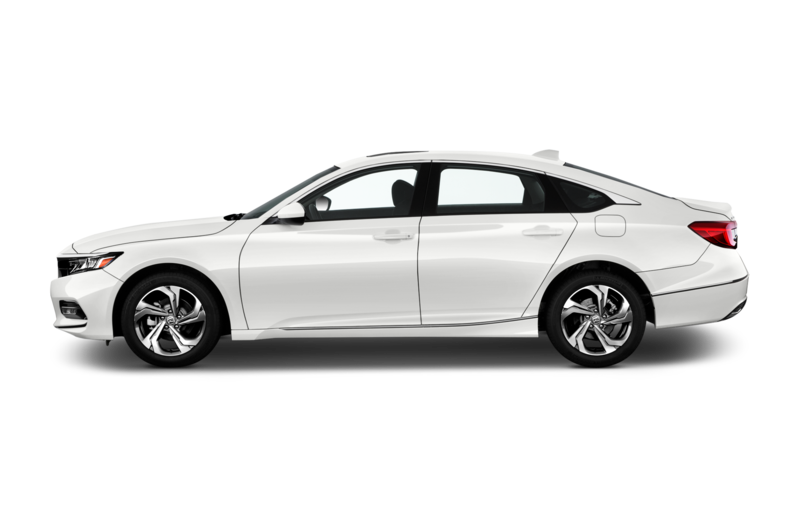 In its final form, the Accord’s V-6 engine was equipped not only with the i-VTEC variable camshaft profile system, but with Variable Cylinder Management (VCM) which deactivates three cylinders in light-load situations, resulting in EPA gas mileage ratings of up to 21 mpg city, 33 mpg highway, and 25 mpg combined when paired with its six-speed automatic transmission. 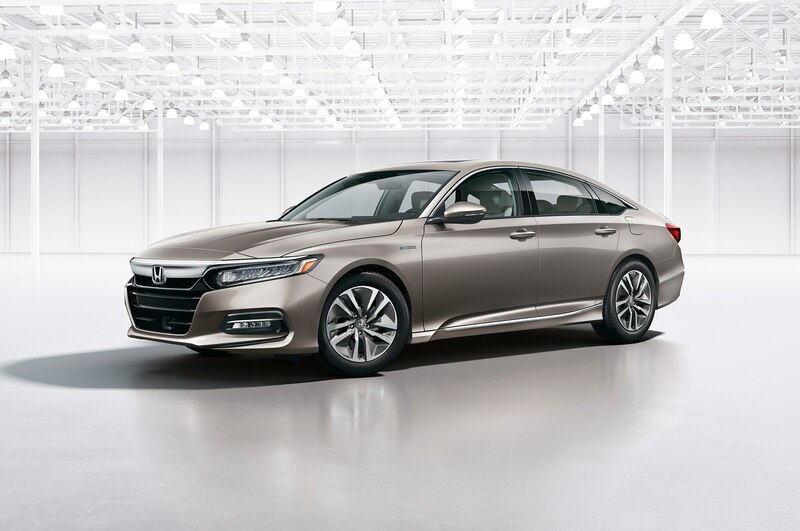 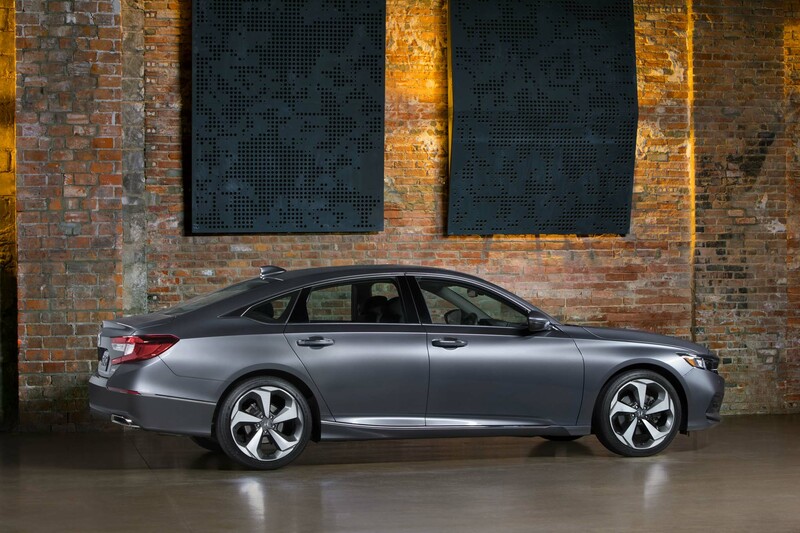 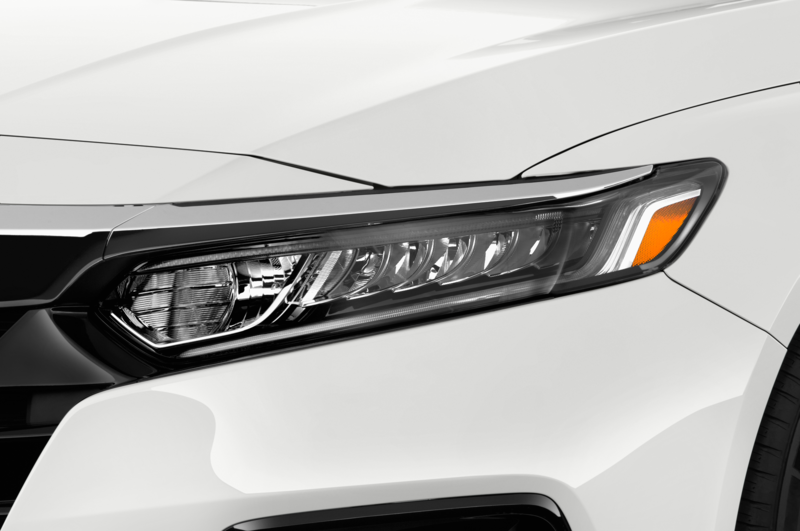 The new four-cylinder should easily beat those ratings, thanks not only to its smaller-displacement, turbocharged nature, but also the addition of the new 10-speed automatic transmission and whatever improvements to aerodynamics and/or weight Honda makes with the rest of the 2018 Accord’s design. 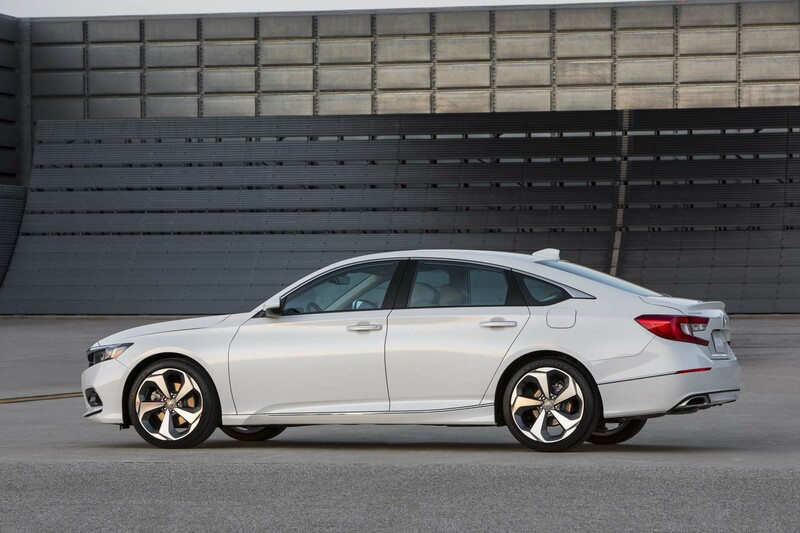 As important as the outright performance of the new 2.0-liter turbo, however, is the very fact of its existence, replacing the V-6 and moving the Accord to an entirely turbocharged lineup in its non-hybrid models. 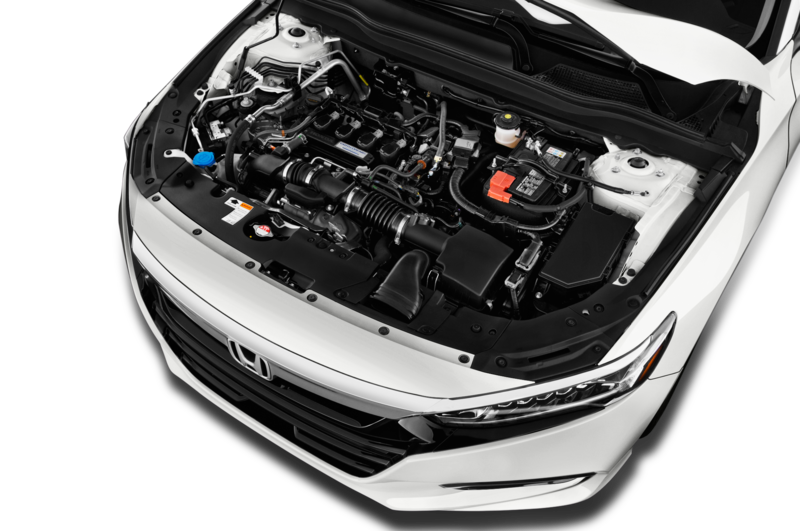 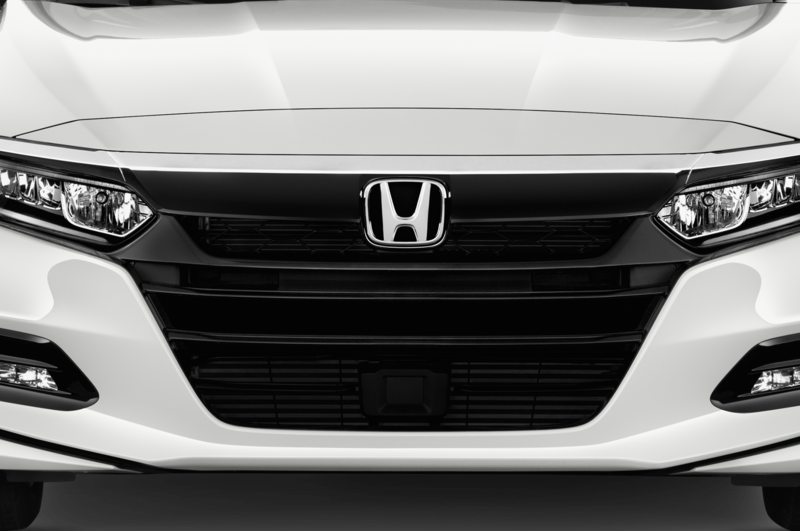 Honda, long an innovator in the marriage of performance and efficiency in naturally aspirated engines, has been slow to adopt across-the-board turbocharging in comparison to its competition — in part because of the strengths of its naturally aspirated engine development. 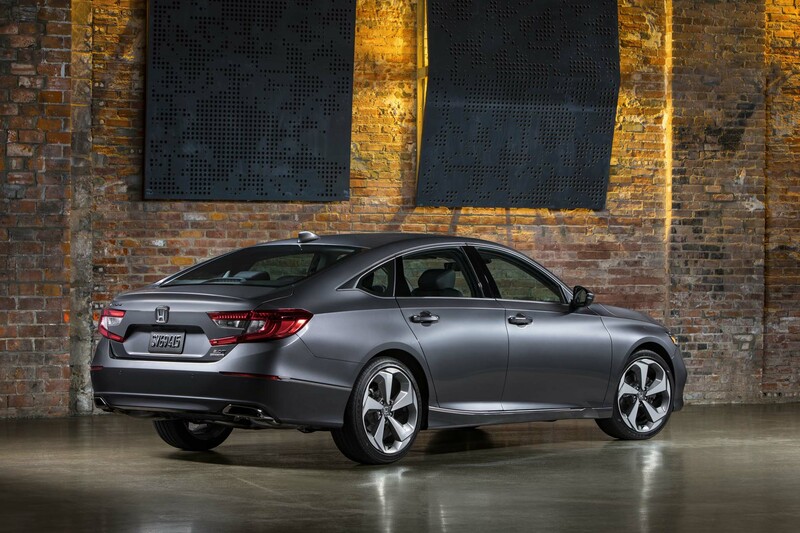 With the move to smaller-displacement turbo engines on the Accord in addition to the Civic, Honda is signaling its intent to move toward turbocharging for even more of its models in coming years. 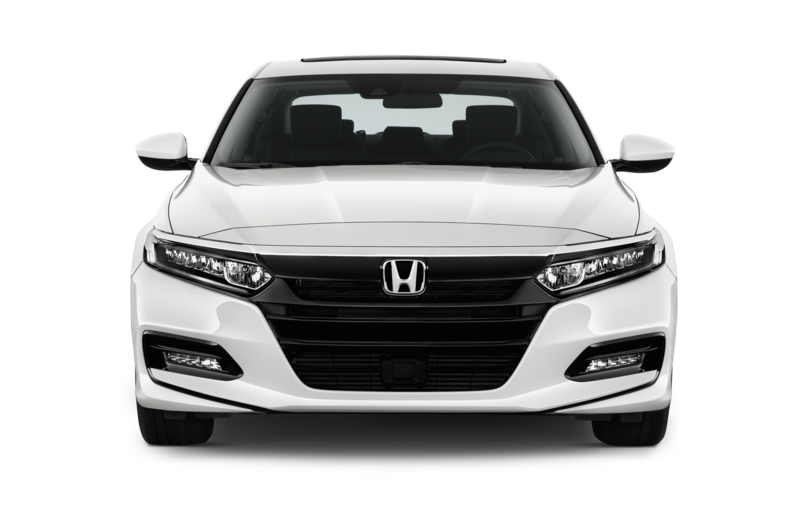 The 2018 Honda Accord will be built at the company’s Marysville, Ohio plant, while its 2.0-liter and 1.5-liter turbo four-cylinders will be built at Honda’s engine plant in Anna, Ohio. 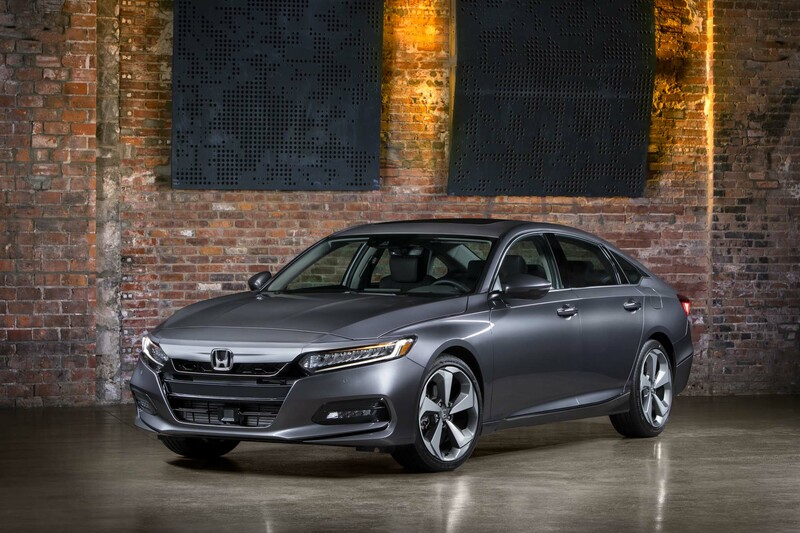 The 10-speed transmission will be built at Honda’s Tallapoosa, Georgia plant. 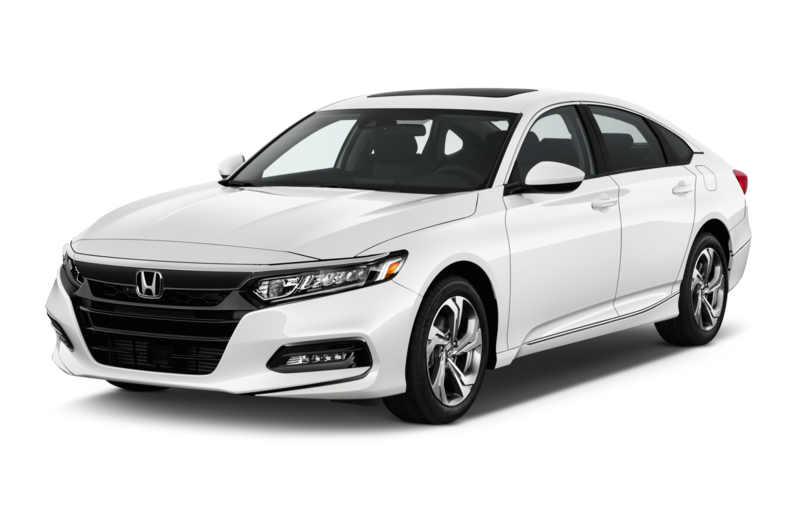 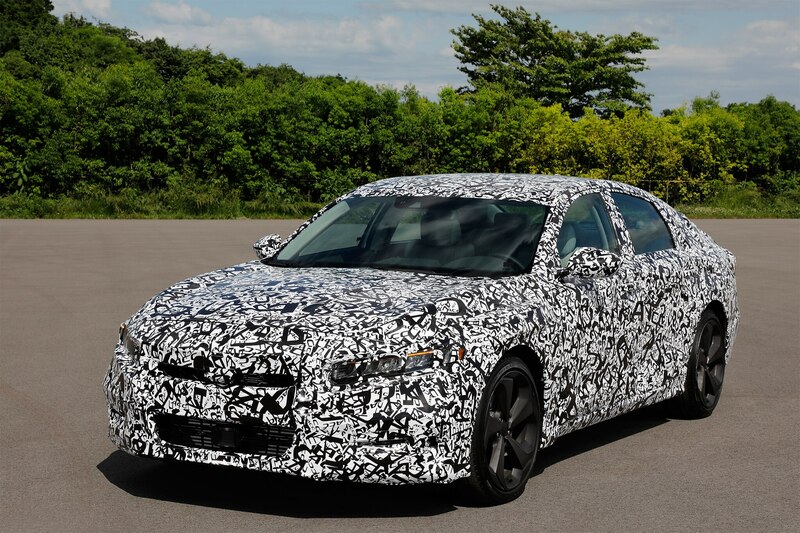 The 2018 Honda Accord will arrive at American dealers this fall.